DefenseStorm Forges Strategic Partnership with Alogent. 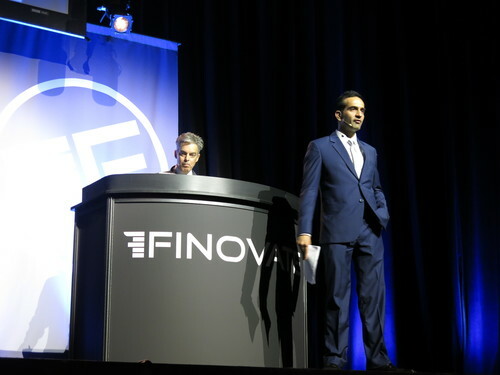 FinovateFall 2018: Be There … In Times Square. Ripple reaches milestone as its RippleNet network is now live in more than 40 countries across six continents. Bambu, Exate Technology, and Market IQ are among the seven startups selected for Plug and Play ADGM’s three-month accelerator program. AlphaPoint appoints Moishe Gubin to its board of directors. CallVU to provide an international credit company with biometric authentication via its digital engagement platform. Enveil and Payfone earn spots on the 2018 SINET 16 Innovators roster. Fifth Domain features Hacker One in a look at how white hat hackers could help improve voting machine security. Fenergo Helps Santander Enhance Customer Onboarding Experience. Juvo partners with Malaysian mobile virtual network operator (MVNO), Tune Talk. Join Finovate as we return to the Far East for FinovateAsia in November. Alpha Payments Cloud accentuates its end-to-end middleware technology in rebrand to Alpha Fintech. Xero announces integration with Santander. Klarna completes acquisition of German online payment specialist, BillPay. ID.me adds support for FIDO U2F (Universal Second Factor) Security Keys. DefenseStorm wins 2017 IDC FinTech Rankings Real Results Award for Digital Trust and Stewardship. Alpha FinTech (formerly Alpha Payments Cloud) and Market IQ shortlisted for inaugural FinTech Abu Dhabi Innovation Challenge in October. Join our first foray to the Middle East as Finovate comes to Dubai in December. Hip Pocket founder Mark Zmarzly to help promote innovation and provide mentorship to fintech startups in Australia as part of new Queensland-sponsored initiative. July 1st is Canada Day, the day Canadians from Nova Scotia to British Columbia and all the provinces in between celebrate the day the country we know as “Canada” was officially formed as a single nation within the British Empire. And a special Canada Day shout-out to Finovate partner, the Canadian Trade Commissioner Service, which supports Canadian startups through mentorship and access to U.S. partners and investors. American Banker looks at how BizEquity helps banks lend to small businesses. Coinbase and Expedia.com partner to accept bitcoin for hotel payments. Bank Innovation features TipRanks as 1 of 4 Israeli fintech companies tackling security and data issues. The Currency Cloud Passes $5 Billion in International Payments Enabled in Two Years. Market IQ wins spot in Barclays Escalator, a new, 15-week accelerator programme. Monitise announces North American debut of Monitise Create, a mobile suite of innovation, design, and development services. MarketIQ is our next presenter. 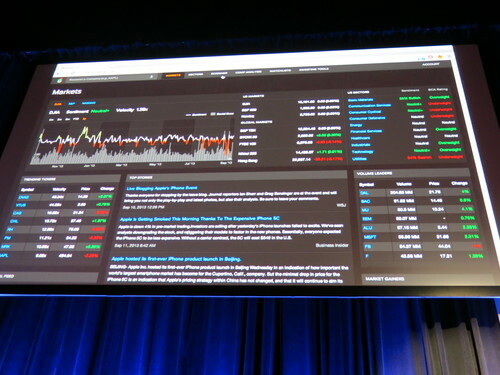 The company will be debuting their Market IQ Terminal for portfolio managers, analysts, and investment firms. Real-time sentiment and actionable fundamental insights based on Market IQ’s patented algorithms to provide deeper insights into a company’s strengths and weaknesses. Better discoverability with Market IQ Search and natural language processing algorithms (applied to over 40 sources of unstructured data), allowing managers to ingest relevant insights from more sources at a glance, making ‘big data’ actionable. Developed in collaboration with top investment management firms and market participants, Market IQ is modeled after broad portfolio management principles. Product distribution strategy: Direct to Business (B2B), through financial institutions, through other fintech companies and platforms, & licensed.